Do You Own Toxic Toys? Many parents are in a state of worry from the moment they find out they are expecting a baby. Many parents-to-be even change their diet to give their baby healthy foods and proper nutrients in the womb. 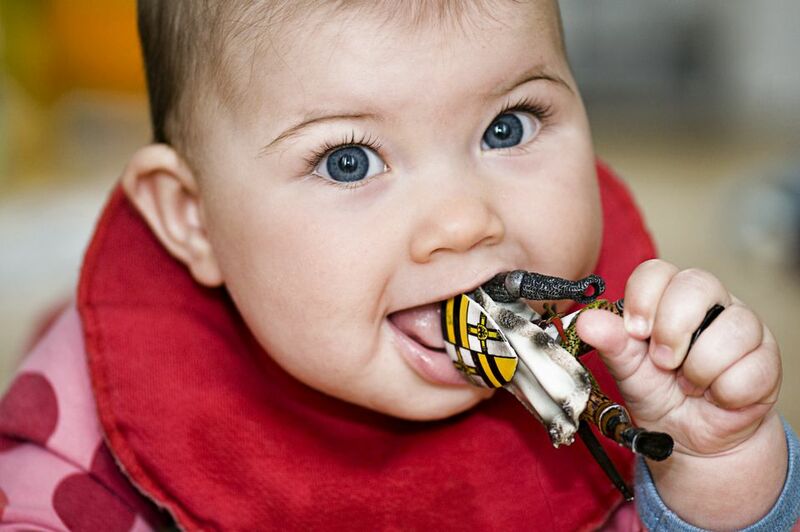 In the first few months of a child's life, parents quickly learn how to be aware of giving their child small toys, so they do not choke on them if they put them in their mouth by accident. What many are not aware of is that it could be possible for kids to get sick by placing a toxic toy in their mouth that has been manufactured with harmful additives and chemicals. Thankfully, in the United States, there are agencies that are committed to making sure children do not get sick or hurt from toys. According to the Consumer Product Safety Commission, It is a Congressional requirement that all toys designed for children 12 and under must be tested by a third party toy lab. For parents who are worried about the types of materials their children's toys are made from, HealthyStuff.org is a resource that provides consumers with a database of different toys, baby products, clothing, technology, and other items. Each item is tested by HealthyStuff.org and listed in the database by what types of materials are included in the manufacturing of the toy. Some examples of materials listed include pthalates, lead, bromine, chlorine/pvc, cadmium, arsenic, tin, antimony, and mercury. If there is a concern that a child has received either a toxic toy or a toy that could be a safety hazard, a complaint should be filed immediately with the Consumer Products Safety Commission (CPSC). The CPSC will gather information and decide if the toy should be recalled. When a toy is recalled, this means that it should no longer be sold in stores. If a family should have a toy in their possession, they should take the toy away from the child immediately. Finally, they should consult the CPSC website or call the manufacturer to determine whether they will receive a replacement toy or a refund. If you're worried you might own a recalled toy, you can check the list of recalls on the CPSC website. Even after testing it could be possible that something might happen over time. Some toys have small parts that somehow fall off the toy over time and could be a risk for small children. With the ability to shop online, it could be possible that someone is selling toys made overseas that do not adhere to the safety standards in the United States. For families who tend to buy used toys at yard sales, receive toys as hand-me-down gifts from friends or relatives, or for children who might have grandparents who may have saved their parent's old toys, it is possible that toxic toys still exist. While there is still always concern, according to the Toy Industry Association, toys are generally much safer than they have been in the past. In the United States especially, there are many labs, laws, policies, and procedures in place to test toys for safety before they are placed on the toy store shelves and in the hands of children to play with.